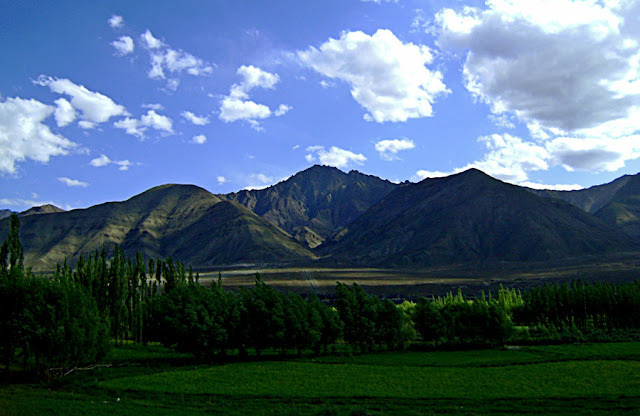 These are photographs of the mountains in Ladakh, which is a region in Jammu and Kashmir, the northernmost state in India. This region has the Kunlun mountain range to its north and the Himalayas to the south of it. Large tracts of Ladakh are a high-altitude desert but there is vegetation near its lakes and areas where it snows and ofcourse man-made vegetation. You can see a road snaking its way across the blue mountains. 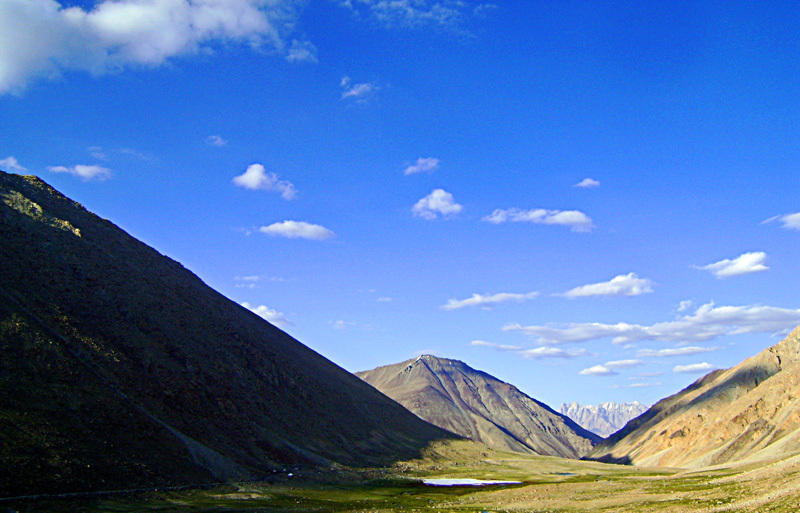 A closer look at the slopes of Ladakh. 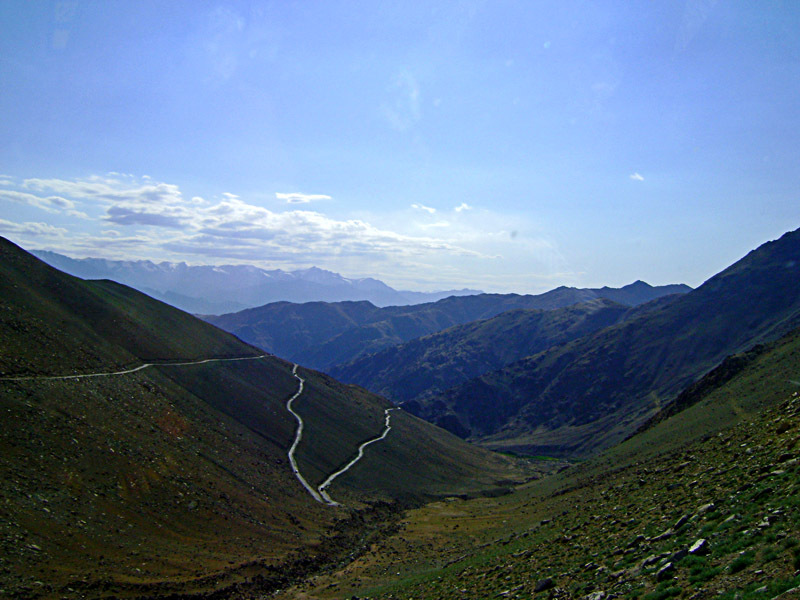 The sparse vegetation on the mountains makes their surface rocky and hard. There is hardly any grass or water nearby. 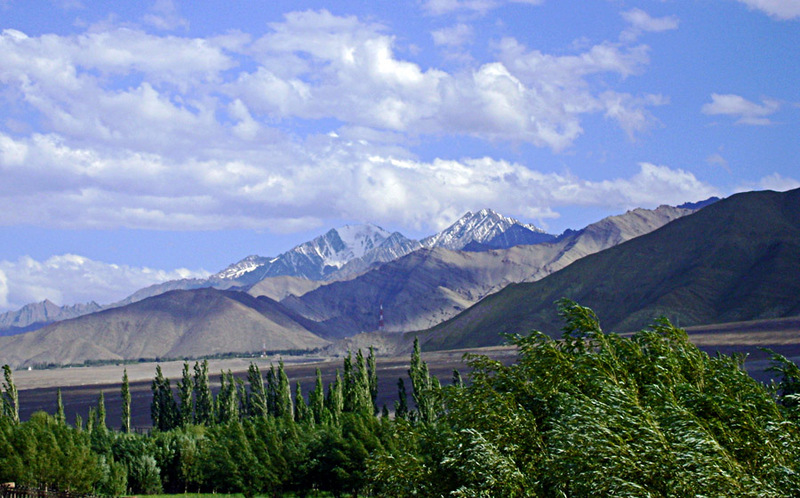 Some snow-topped mountains in Ladakh with a foreground of trees. 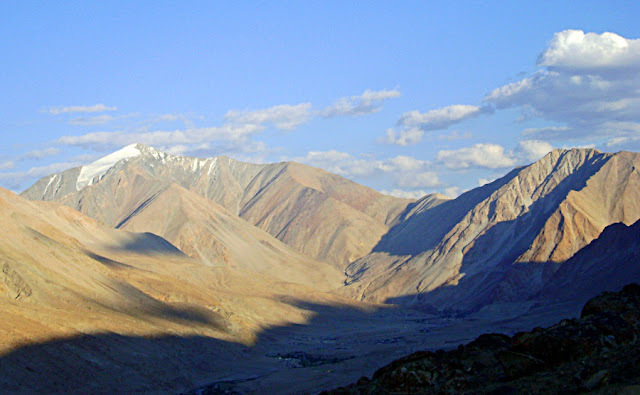 The dusty bare brown mountains of Ladakh. The terrain can be quite harsh.